Most of the materials you can find in your junk box. The base plate and rudder pedals are made of various woods. You will need a large bolt with washer and nut. 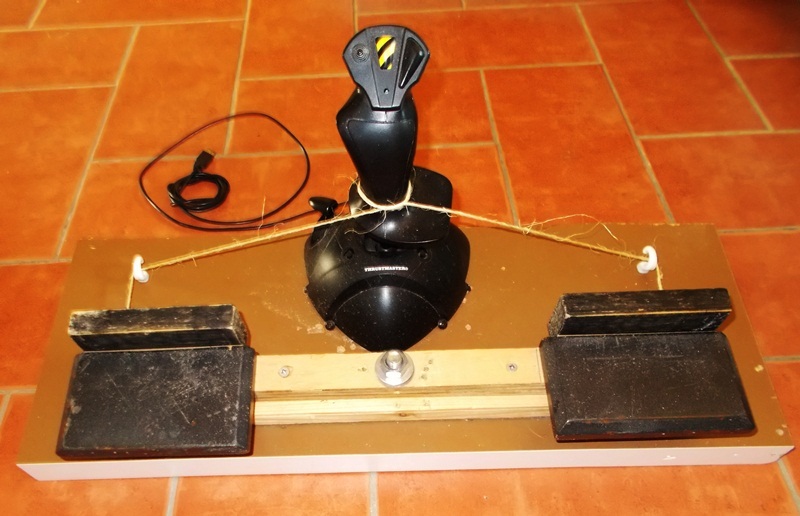 A low cost joystick, I used the "Thrust Master", 2 x white plastic covered hooks, hand full of screws and not forgetting the all important length of string! Love it Mike, very ingenious.